To those who may be looking a place to have the full view and watching the shark as they do swimming and other marine wildlife is at this catamaran where you will have the opportunity to do so. The advisable thing to do is to take only a maximum of two hours in boat riding and experience this exciting and well-presented chance to watch this. One of the best chance to feel relaxed and full enjoy during your free time is to watch this marine wildlife as their making their move in the ocean, and this is the reason why the company has offered itself in making sure that you enjoy this nature at your convenient time. Apart from this marine wildlife there several birds that are so beautiful hear that make sure you are well happy as they land for instance the pilot as they drop bait. The people who love to see the shark as they make swim and move have the best chance to experience enjoyable life moment. There many visitors who normally come here for them to watch all these activities coming from different parts of the country and there those also who comes from the other parts of the continent to experience all this. One of the better chance provided here is that there those who are employed with just one role of training and teaching. In most cases what these people usually do is that they teach about the marine life activities and how these marine animals survive concerning what they feed on. The people around here sell some food including chips and to those who love drinks there that are non-alcoholic that you may enjoy. 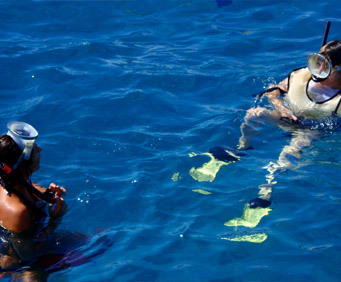 If you're a cruise passenger only in Key West for a day, don't miss out on a fantastic reef snorkeling shore excursion. Be one with the sea as you swim in the clear water, among coral and schools of colorful fish. Snorkel over starfish, queen conchs and much more in this protected marine sanctuary. 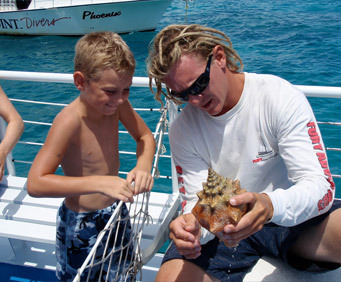 While you're in port in Key West, get out on the water aboard the Reef Express for reef snorkeling shore excursion. You'll have half a day of snorkeling on two living coral reefs located in a national marine sanctuary. The shallow waters make these areas perfect for both beginners and experts. It's the perfect way to spend your time off your cruise ship - swimming in the clear blue water of the Florida Keys, surrounded by tropical fish and coral. Expert instruction makes this trip fun and easy, even if you are a beginner. You will see colorful coral, many varieties of tropical fish, starfish, queen conchs and more. Snorkeling gear is provided. We will ensure your excursion ends with ample time for you to return to the Key West port for your ship's departure. In the rare event your ship has departed, we will arrange for transportation to the next port-of-call. See our terms and conditions for full details.